An aneurysm in the brain involves a bulge or sac that develops in an artery carrying blood from the heart to the brain. When an aneurysm develops, it compresses the nerves and brain tissue, often resulting in nerve paralysis, headache, neck and upper back pain that may cause nausea. If the aneurysm ruptures it often leads to bleeding in the head, which can lead a stroke or death. Ruptured aneurysms are typically life-threatening and require immediate medical treatment. Early detection is the key to prevent a rupture. A brain aneurysm can be diagnosed by a number of testing methods, including a CT scan or MRI. 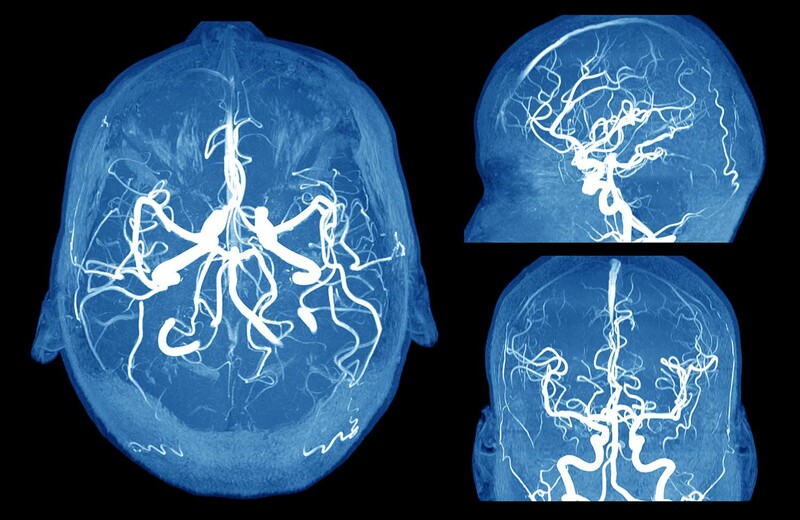 Interventional neuroradiologists diagnose and treat patients with brain aneurysms using the least invasive techniques available in order to minimize risk to the patient and improve health outcomes. Endovascular treatment is a minimally invasive procedure during which a hollow plastic tube (catheter) is inserted into an artery, usually in the groin, and threaded through the body to the aneurysm. The treatment stops the blood flow to the aneurysm, which causes a clot that seals off the aneurysm from the artery. This is accomplished using coils, which can be assisted by a stent/balloon or a special stent called flow diverter.